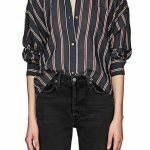 This dark blue button-down shirt is just the tiniest bit sheer, and has the subtlest stripes, and is super-lightweight. I don’t believe in spending a fortune on summer shoes, because they always look so trashed by the end of the season. 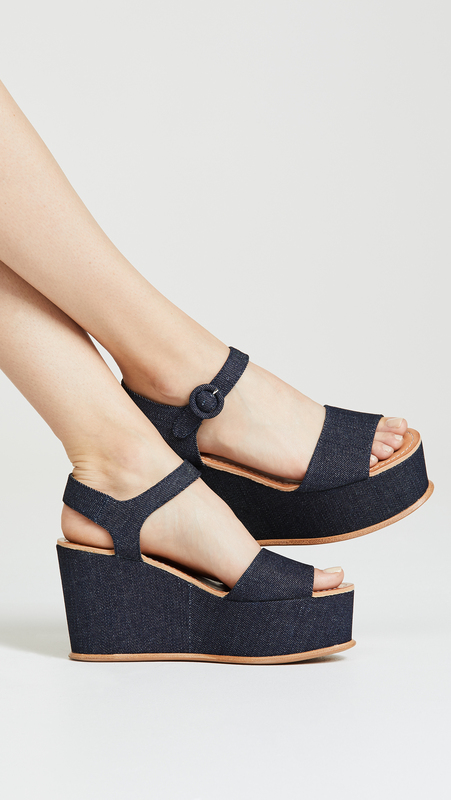 These denim platforms are well-priced and super-cute, and look like they’d be highly walkable. 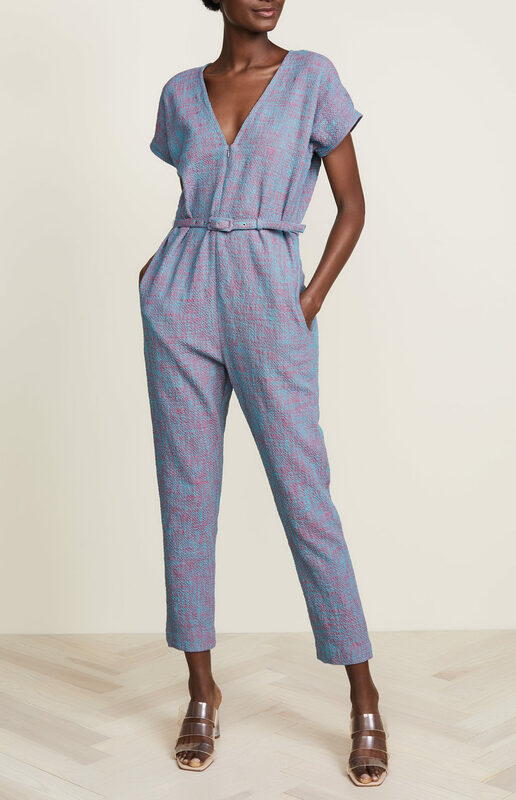 Jumpsuits are tricky, but Rachel Comey really knows how to make specimens that are quite wearable and chic and even flattering, and this one is tempting me hugely. A slightly more ruffly top than I typically go for, but somehow it doesn’t come off too girly. This blazer is perfect for summer, with its three-quarter sleeves, and slightly shrunken cut. Nothing too exciting here, just a short-sleeved button-down in white, which is harder to locate than one might suspect. Guys, I bought a bike (and, not to worry, also a helmet) last week, and am so excited to start pedaling around the city instead of taking the subway and spending too much on Uber rides. 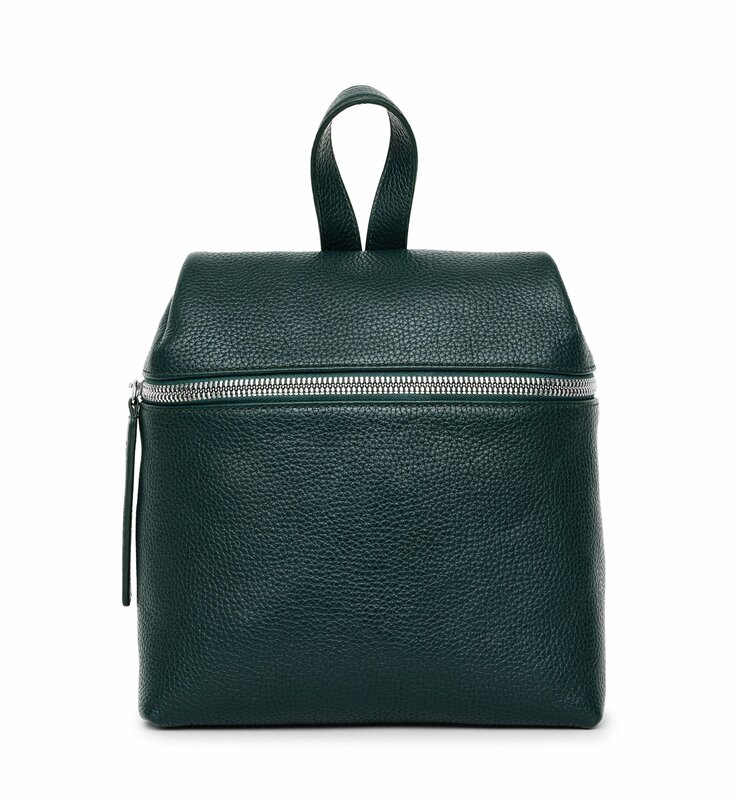 So I need a backpack, and though I’ll probably end up going for something cheap and nylon, I am rather desirous of this one from Kara in bottle green. It’s also marked down, which is nice. 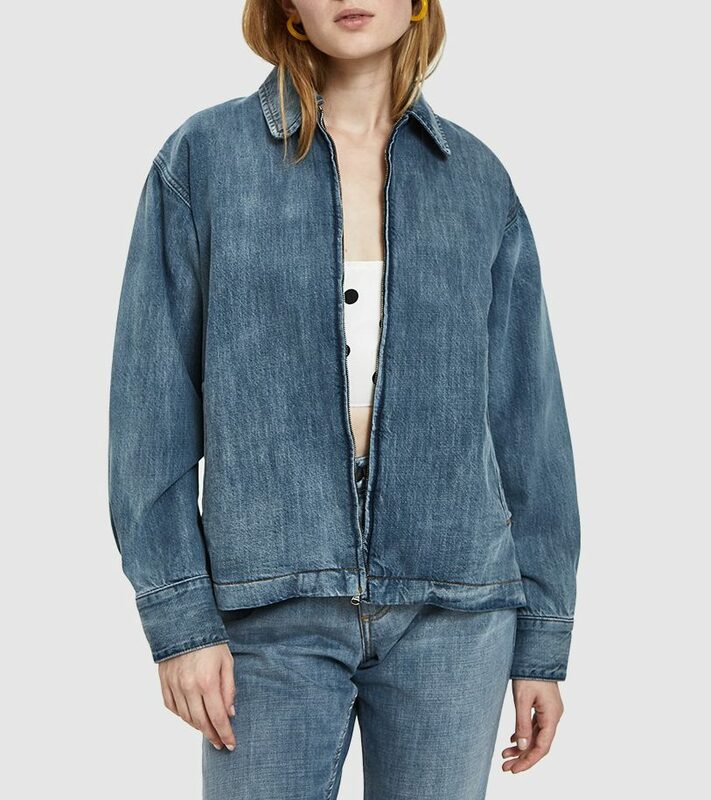 This denim bomber is sold out in many sizes, including my own, but it is so perfect that I had to share. Well, I will have to love jumpsuit from afar…The dark blouse and tannish bottom is just TDF…I could go down the offerings and take them all home but the jumpsuit is too much trouble to get down and up…Just saying…smile..
Well, I will have to love jumpsuit from afar...The dark blouse and tannish bottom is just TDF...I could go down the offerings and take them all home but the jumpsuit is too much trouble to get down and up...Just saying...smile..
Congrats on joining the Bike Life! One concern about your back pack choice when it comes to rainy days? If the zipper isn’t protected, the rain will enter your bag and could damage your electronics. Anna Maria at Sun and Air Cycles can help you select a cute and functional rainy day option as well… Levis makes or made an American range of women’s cycling friendly apparel, think jeans with give longer tailed tshirts. So stoked to have another woman on a bike! Welcome to our world! Congrats on joining the Bike Life! One concern about your back pack choice when it comes to rainy days? If the zipper isn’t protected, the rain will enter your bag and could damage your electronics. Anna Maria at Sun and Air Cycles can help you select a cute and functional rainy day option as well... Levis makes or made an American range of women’s cycling friendly apparel, think jeans with give longer tailed tshirts. So stoked to have another woman on a bike! Welcome to our world! Yes, have fun and be safe on your bike! It’s an amazing way to experience the city. So excited for you! Yes, have fun and be safe on your bike! It's an amazing way to experience the city. So excited for you! Congrats on the bike! You do want a water proof back pack which sounds slightly crazy because you most likely won’t be riding your bike in the rain, but I used to ride my bike long distances in the middle of nowhere in the middle of Texas and somehow always needed something waterproof! Love that RC jumpsuit. The colors on that style for pre-fall this year are just too good. Have fun on your new bike! I’m surprised there haven’t been any Kim France Pants referrences yet. That one’s so persistant it’ll probably end up in your Times obituary someday (hopefully long, long from now!). Love that RC jumpsuit. The colors on that style for pre-fall this year are just too good. Have fun on your new bike! I’m surprised there haven’t been any Kim France Pants referrences yet. That one’s so persistant it’ll probably end up in your Times obituary someday (hopefully long, long from now!). 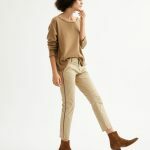 What does Kim France Pants mean? Are we talking about her penchant for dropped crotch style? (Someone should come up with a better name for that.) Serious question. Bikeriding could be a good excuse for wearing them. I am a bit of an Eeyore about city bicycling. However I am sure Kim will keep a good eye out for idiots, who ime tend to be thick on the ground and in all modes. What does Kim France Pants mean? Are we talking about her penchant for dropped crotch style? (Someone should come up with a better name for that.) Serious question. Bikeriding could be a good excuse for wearing them. I am a bit of an Eeyore about city bicycling. However I am sure Kim will keep a good eye out for idiots, who ime tend to be thick on the ground and in all modes. 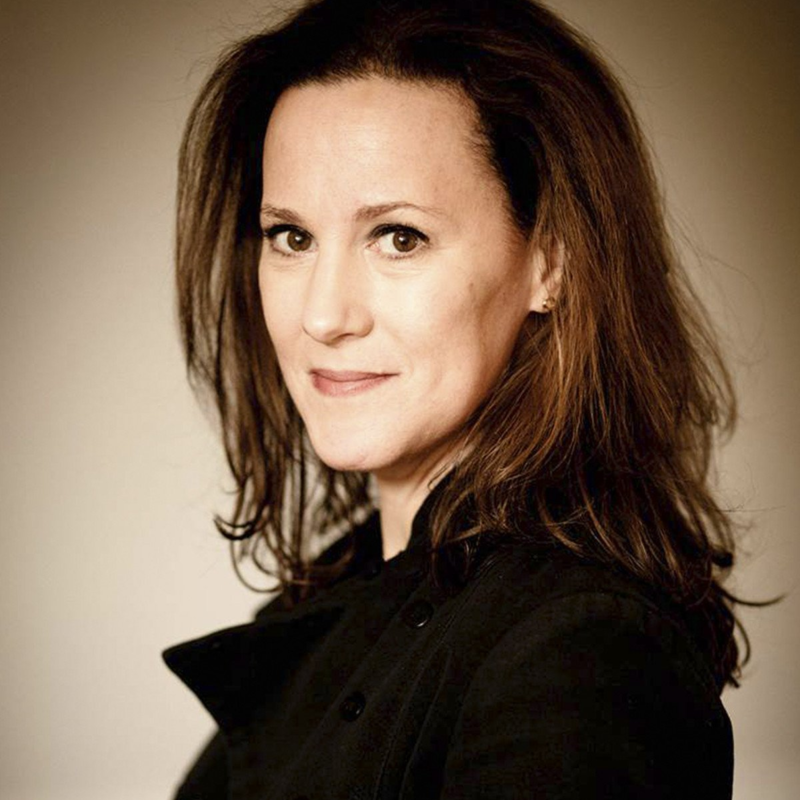 Kim France Pants is a Sassy reference, from the days when she (and we) wore spandex bike shorts under skirts. Thanks for explaining! I think wearing such pants shows excellent sense. And they are sort of like pre-Spanx. 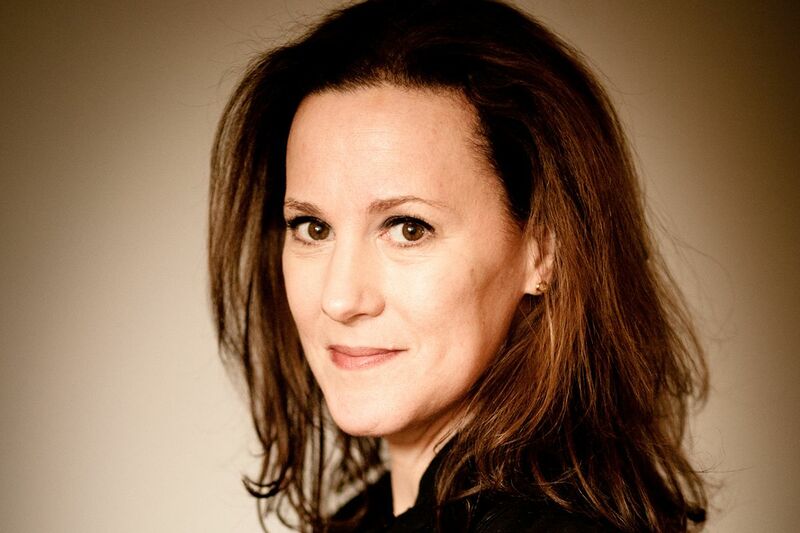 I fear you are correct about my obit, DeDe—I can’t tell you how many grown women mention Kim France pants to me on the regular. I fear you are correct about my obit, DeDe—I can't tell you how many grown women mention Kim France pants to me on the regular. Love that little black blazer. I also went and tried on the Madewell white, short-sleeved, button-down because it looked perfect for hot, summer days. Great material, very comfy, but cut really big. For anyone considering it, go down one size. I’m usually a medium, but even the small was very blousy on me. Love that little black blazer. 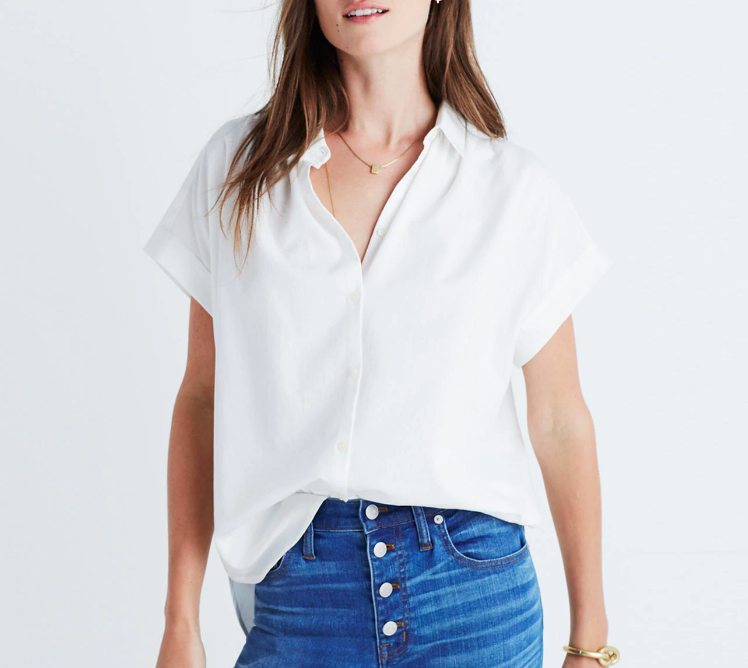 I also went and tried on the Madewell white, short-sleeved, button-down because it looked perfect for hot, summer days. Great material, very comfy, but cut really big. For anyone considering it, go down one size. I'm usually a medium, but even the small was very blousy on me. Congrats on the bike! Be safe! And if you decide to get a pair of bike shoes that clip in, you’ll need a pair of TIEM Slipstreams, chic shoes that look great off the bike, made by a female founded company…and run by an amazing team of mostly women, including a an Oberlin alum! Congrats on the bike! Be safe! And if you decide to get a pair of bike shoes that clip in, you’ll need a pair of TIEM Slipstreams, chic shoes that look great off the bike, made by a female founded company...and run by an amazing team of mostly women, including a an Oberlin alum! I recently bought a bike to tool around my city, too. Sabina is right. Don’t wear a backpack while riding! I learned that from my dad, who bicycled just about everywhere his entire life. I do what he did: put my essentials (phone, ID, lipstick, money, etc). into a small fanny pack and wear that around my waist while riding. Anything else I need to carry, like groceries, etc., I put into a backpack that I bungee cord to the back rack. When I get off my bike to go into the store, etc., I put the fanny pack into the backpack and then carry it with me. And now I think I also need that awesome black Frame blazer to wear while pedaling. Actually, I need another jacket like I need a hole in my head, but that one is so, so cool. I recently bought a bike to tool around my city, too. Sabina is right. Don't wear a backpack while riding! I learned that from my dad, who bicycled just about everywhere his entire life. I do what he did: put my essentials (phone, ID, lipstick, money, etc). into a small fanny pack and wear that around my waist while riding. Anything else I need to carry, like groceries, etc., I put into a backpack that I bungee cord to the back rack. When I get off my bike to go into the store, etc., I put the fanny pack into the backpack and then carry it with me. And now I think I also need that awesome black Frame blazer to wear while pedaling. Actually, I need another jacket like I need a hole in my head, but that one is so, so cool.